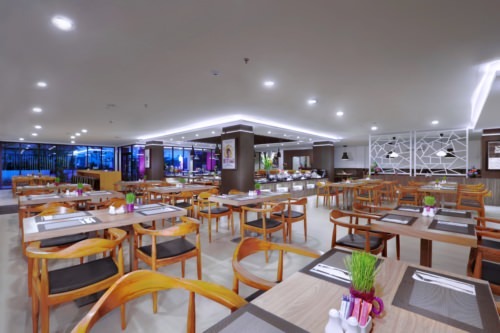 Fame Hotel Batam is a new 3-star city hotel in Batam. Our popular Fame Hotel Batam Package includes 1-night stay with breakfast, 2-way ferry tickets from Singapore, 2-way Batam land transfers, and option of Batam tour with seafood lunch and body massage. 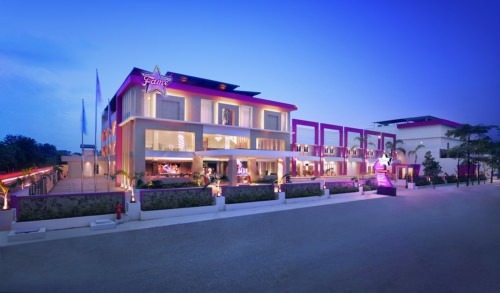 Fame Hotel is located in the Batu Aji industrial area. Although not within the main city area, it’s just a 10-15 minute car ride away. 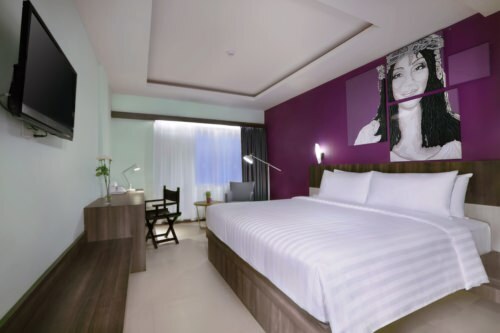 Besides its popularity with business travellers visiting the Batu Aji Industrial area, Fame Hotel is also sought after by many leisure travellers who are looking for a unique and affordable stay in Batam. 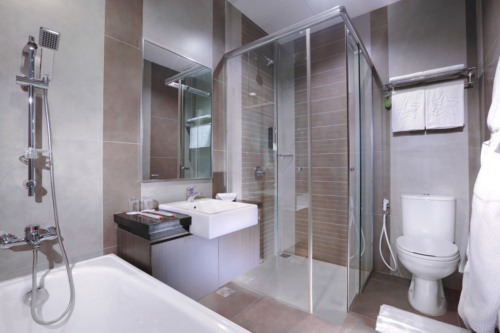 Affordability and uniqueness are the 2 main selling points of this hotel, not to mention that it’s one of the latest hotel in Batam. Fame Hotel Batam applies the same rate throughout the week and it doesn’t impose any surcharge for most public holidays. Book your batam holiday with us, the No.1 Batam travel site in Singapore. Our Fame Hotel Batam package includes hotel, ferry, land transfers and optional tour with seafood lunch. Stayed here last 2 weekends, it was a good stay. Hotel has a unique theme to it. Need to take a cab to go to Nagoya, quite far actually, about 30 mins away, chose this hotel because it’s one of the hotels that is nearer to Barelang bridge, went there for a fishing trip with a few friends. Fame hotel was surprisingly good! hotel is nicely decorated with thematic rooms. In my honest opinion, hotel is meant for locals enjoying their staycation as not near any shopping malls. It was at least 20-30mins away by taxi to Nagoya. As per previous review, good launch pad for people who are aiming to go Balerang bridge, quite near by. Boutique hotel and lovely design but problem is far from town need take taxi to Nagoya about 30 mins away. Hotel staff speak very minimal english so it was tough to ask for directions or recommendation. Unique deco but far from town. Unless you dont plan to do shopping, avoid this hotel but if you would want to lounge the whole day with your love ones, then you can consider the stay here.